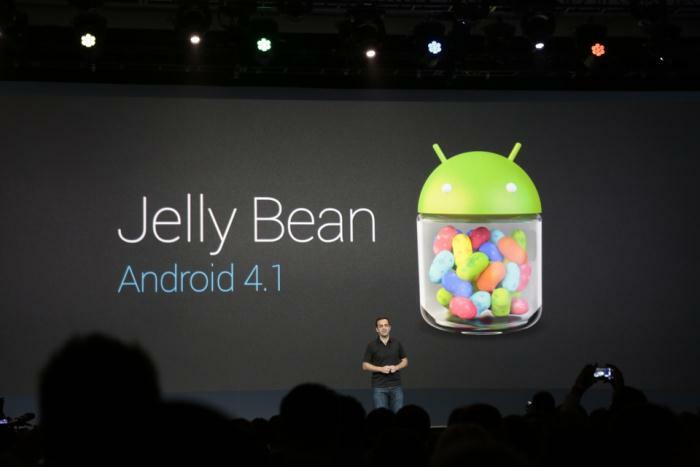 Yesterday Google introduced Android 4.1 Jelly Bean. A couple of minutes after that we tweeted that the Galaxy SIII will get an Android 4.1 update in Q3 of 2012. This is not entirely strange because the Galaxy SIII is Samsung’s biggest smartphone at the moment. Not only the Galaxy SIII will get Android 4.1 also the Galaxy Nexus. After the announcement from Google people start asking us about updates for the Galaxy SII and Galaxy Note. At the moment we really don’t know if Samsung will update the Galaxy SII and Galaxy Note to Android 4.1. A possible option is that Samsung will give you a value pack update on Android 4.0.4 for the Galaxy SII and Galaxy Note, like Samsung also did with the Galaxy S.
So we will see Android 4.0.4? Yes, you will see Android 4.0.4. Android 4.0.4 is at the moment under development for the Galaxy SII, this has been confirmed by our insider. When the update will come out is still a question but it will be in one a two months. The Galaxy SII and Galaxy Note are one of the biggest phones by Samsung after the Galaxy SIII at the moment. We hope Samsung will make some statement about the upcoming Android updates for all Android devices. We understand that some people will be mad if Samsung decide to stop updating the most phones after 4.0.4. But Samsung must draw a line somewhere of updates for marketing and producing new models. PLEASE DO NOT ASK FOR UPDATES BEFORE THE OFFICIAL STATEMENT OF SAMSUNG. We just sended a email to Samsung regarding the update schedule. Hey SG2 is Samsung’s master piece and it deserve JB updates. SG3 already has its market share as far as money is concern. Keeping JB limited to new phones will only affect Samsung’s customer relation ship towards bad side. Then I must say go away to Samsung. If SGS2 doesn’t get JB, I’ll be done with samsung forever. Samsung already made a fool of us with SGS. Enough is enough. This is their last chance. Remember: reason over harsh language. Prove a point, never threaten. That’s how you truly win. I have a Samsung Galaxy W, a great smartphone that can safely support ICS. I also paid 299€ to buy this device but now I have to see low-cost devices like Samsung GT-B5330 or Sony Xperia mini updated to Android 4.0…dear Samsung, how can this ever be the treatment that YOU reserve your customers? NO SUMSUNG ,NO VALUE PACK. NO SAMSUNG ,NO BUG STOCK OS. NO SAMSUNG ,NO DOUBLE STANDARD. Normal HUMAN Not Have A LOTS OF MONEY. If Samsung will not release JB for GS2 in the future, this will be my last smartphone from Samsung !! I really don’t understand this opportunistic behaviour of a leader Company in relation to his customers : it’s an outrage to intelligence of people who spend a lot of money for a top range just one year ago ! My next smartphone will be a “Pure Google” device … better support and respect for customer from Google. Once upon the time…. Nokia was a Giant on the market that had been grown up to the sky. One day they decided that they know better then their own customers what the customers wanted and they decided to sell what Nokia wanted not the customers. Everyone knows the result. There is the time now that Sumsung knows better and decides to F…ck the customers that many came from Nokia. Well Sumsung … pride comes before the fall. Maybe it is the time to switch to original Google products as your UI on Android is ….hmm everyone knows. There is no reason the S2 and Note won’t get an update to 4.1. It has not introduced any new hardware requirements, so anything that can run ICS comfortably will also run JB. Hey Samsung ,you’re not a noob & I am not a Buffalo. Why I’m talking like that? sorry I’m SGS2 user and I’m waiting for the ICS for Mideast and google talking about JB?!! SAMSUNG PLZ UPDATE OUR DEVICES IN MIDDLE EAST ESPECIALLY SAUDI ARABIA IAM STILL ON GB AND U R TAKING ABOUT VALUE PACK .. BY THIS WAY U WILL LOSE UR CUTOMERS IN SAUDI AND THE WORLD AND IAM THE 1st ONE IF U WILL NOT UPDATE OUR DEVICES IT WILL BE MY 1st AND LAST GALAXY !!!!!!!!!!!!! I HOPE U WILL DO IT ???????????????????????? I changed my mine. I’ll stuck with my SGS2 with custom rom^^. Samsung go to hell. WTF! no JB for SGS2?? I think I’m starting hating this Samsung. I hope this is a jock. Or I think it’s time to shift to another manufacture. samsung is like other vendors, that is like microsoft. Do not believe samsung android will support you in the long run. samsung just using linux world for profit. To Google: Do not let this matter drag on. well another issue whether galaxy note will be having jellybean or not, samsung still no answer on black clipping issue on playing videos.please samsung give both updates a new video player app for note and a more stable firmware since ics is so buggy. remember windows and nokia is now on the rise and soon steal the ‘show’ from both sammy and android. make way for now for your end-users else regret sooner.we still have many choices to choose from if still unheard.